The Electro Harmonix Mod Rex Polyrhythmic Modulator is the starting point for every modulation effect imaginable. Divided into four different sections, the pedal offers classic flanger, phaser and chorus sounds as well as the ability to add tremolo, filter effects and even modulation to the stereo panorama. All 4x sections are synchronized via the global tempo, which can be set either via the tempo control, via the tap tempo switch or via the incoming MIDI signal. 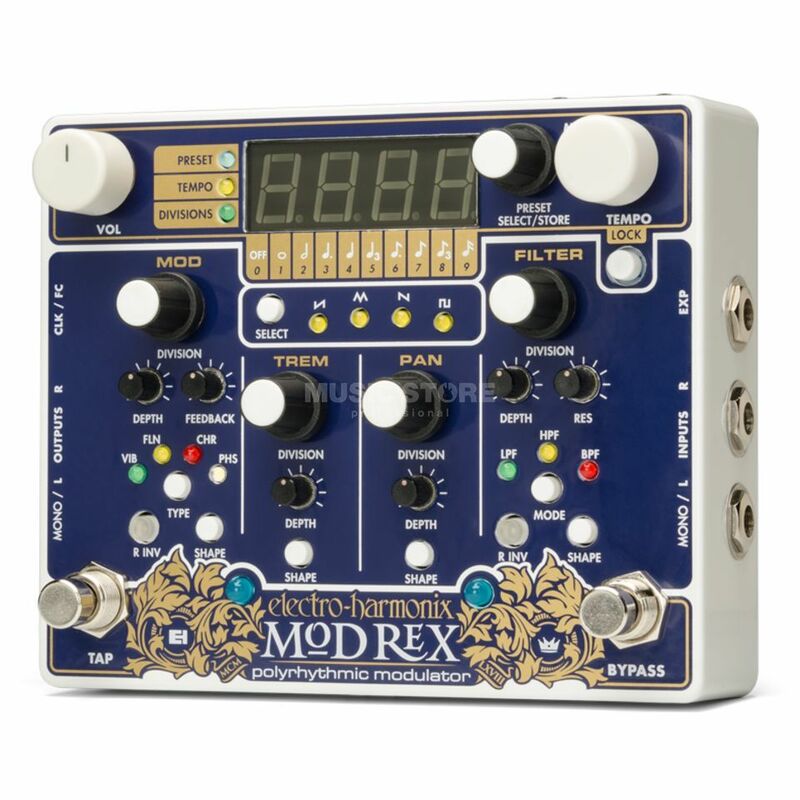 For each modulation effect, 9x different subdivisions and 4x LFO curves are available, making experimental sounds and rhythmically pulsating stereo soundscapes child's play for the Mod Rex.